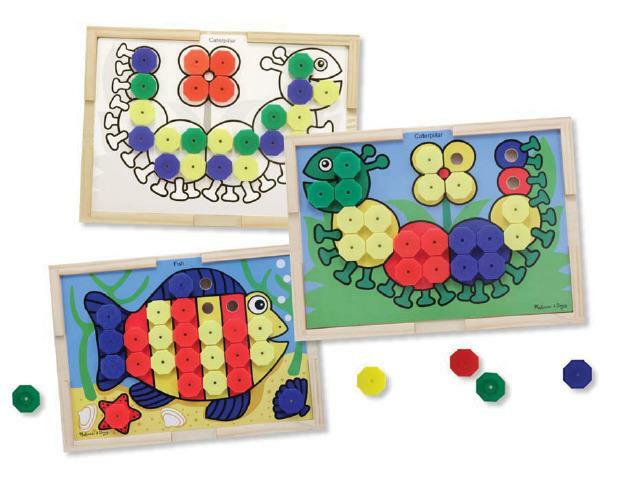 Ten reversible picture cards are held in place on a wooden play board when children place the snap caps in the holes. One side of the picture card is in color for matching. The reverse side shows the picture in black and white, allowing the children to create their own patterns and designs! Dimensions: L: 15.5" x W: 11.7" x H: 1.1"